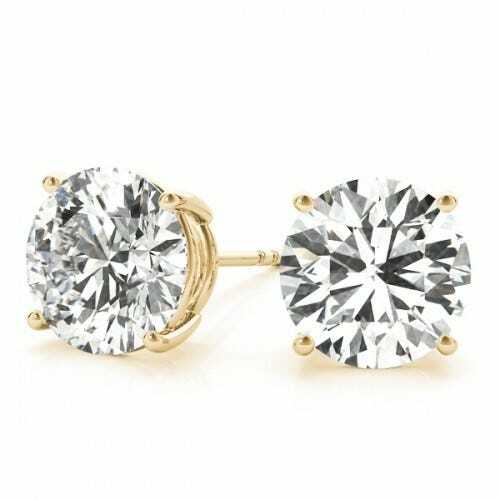 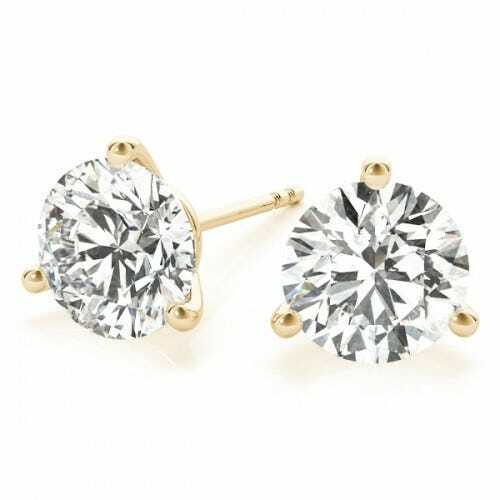 These classic, lab-grown diamond earrings make the perfect gift for any occasion and are ready to ship today. 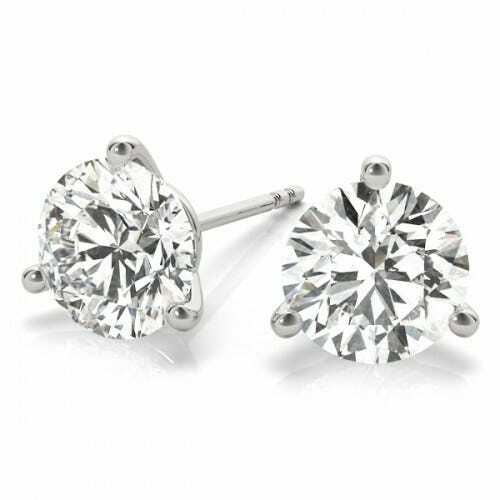 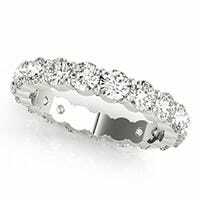 Choose from our wide selection of styles, sizes, and colors to find the perfect pair (at the perfect price). 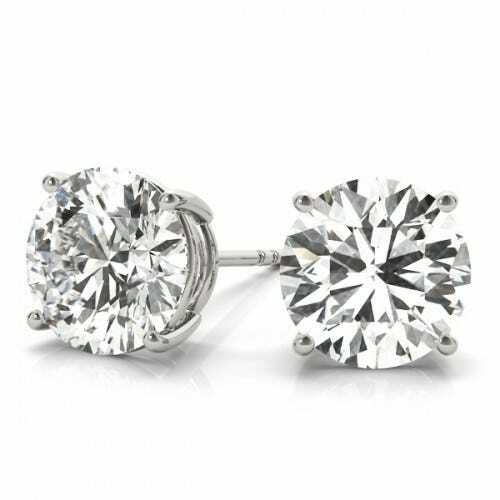 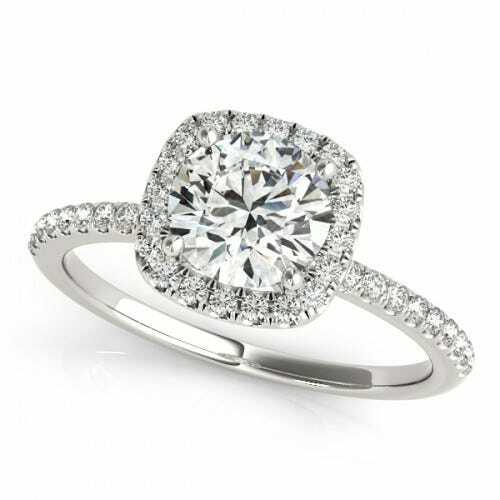 Each pair of ready-to-ship diamond earrings from Clean Origin is certified by the International Gemological Institute. 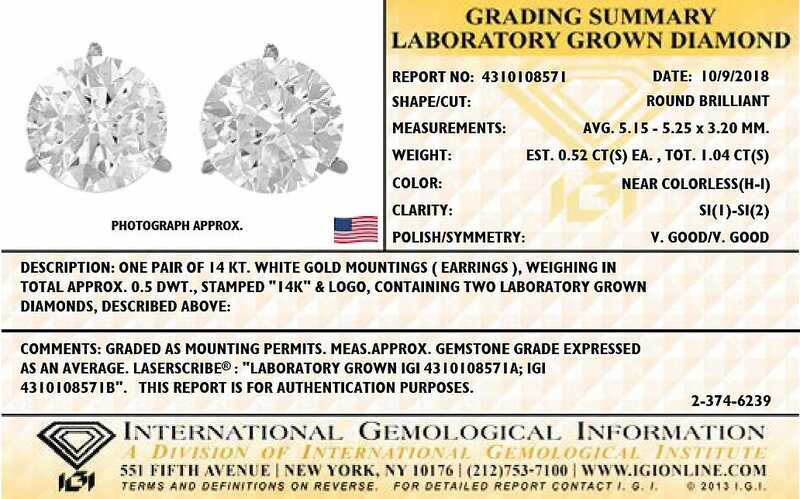 Each purchase receives its very own, unique grading certificate similar to the certificate pictured.